Lasts months in a sealed container, replace when pack becomes rigid. Scientifically engineered to maintain a precise relative humidity in an enclosed space, and available in multiple RH levels. 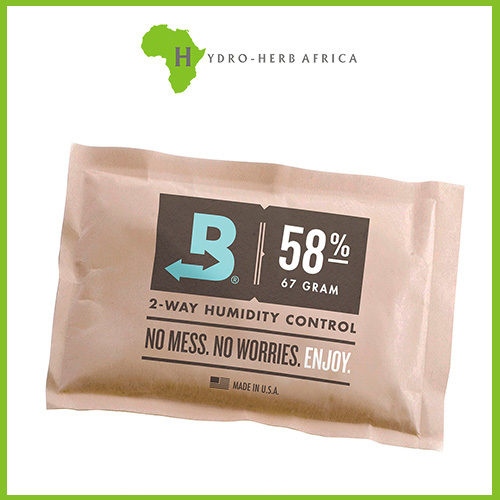 Boveda will never humidify beyond the RH on the pack, so there’s no such thing as “too much”. You want to think in terms of using at least the minimum because the more you use, the more efficient Boveda works and the longer they last. You’ll know it’s time to replace when the entire Boveda begins turning hard. 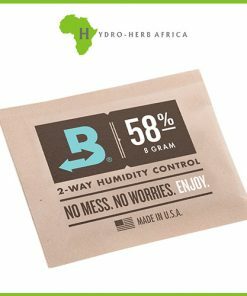 Simply place the correct number of Boveda inside your container to maintain a precise relative humidity. Each Boveda consists of a specially prepared saturated solution of pure water and natural salt. This saturated solution is contained within a water-vapor permeable “reverse osmosis” membrane. 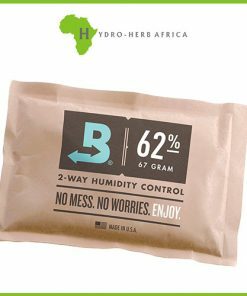 Within a closed container Boveda maintains a predetermined level of (RH) by releasing or absorbing purified water-vapor, as needed, through the membrane. Note: Do not mix Boveda RH levels within the same container, and do not use Boveda in the same container with other humidification products. They will fight against each other and reduce the efficiency of the Boveda.